Here is my $50.00 Centurion Super Lemans which I think is a 1980 vintage. It has Tange Number 5 Chrome moly tubing which I believe is straight gauge. 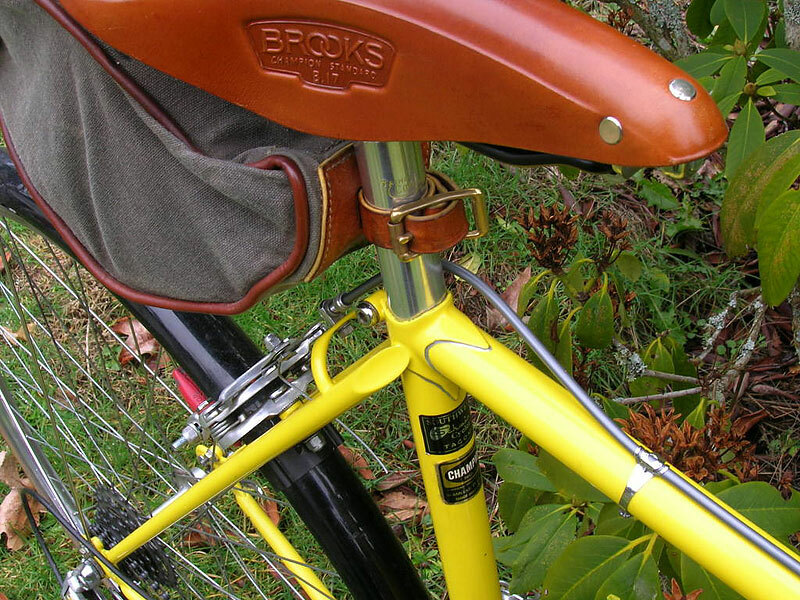 I had it powder coated for $75.00 with safety yellow and a emerald clear coat. The stickers came from my local auto sticker guy for about $12.00. I managed to salvage the tubing sticker and the original bike shop sticker and glued them back on after powder coating. 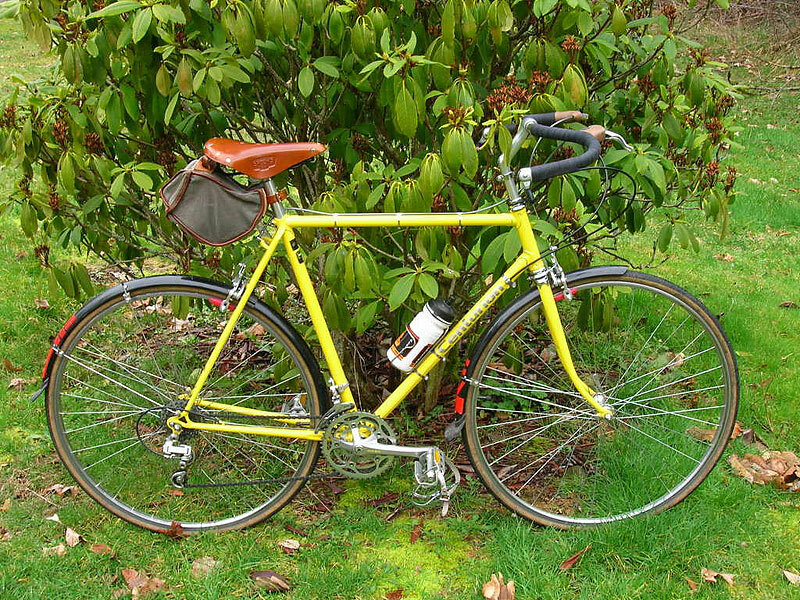 For this bike, I wanted a rider rather than a restoration showpiece. The bike is shown with the original 27x1 1/4" Araya rims and newer Pasela tires. The hubs are Suzues and it has a 6-speed, 28-14 with a 46x36x26 SR crank, scavenged off my old Raleigh Technium. 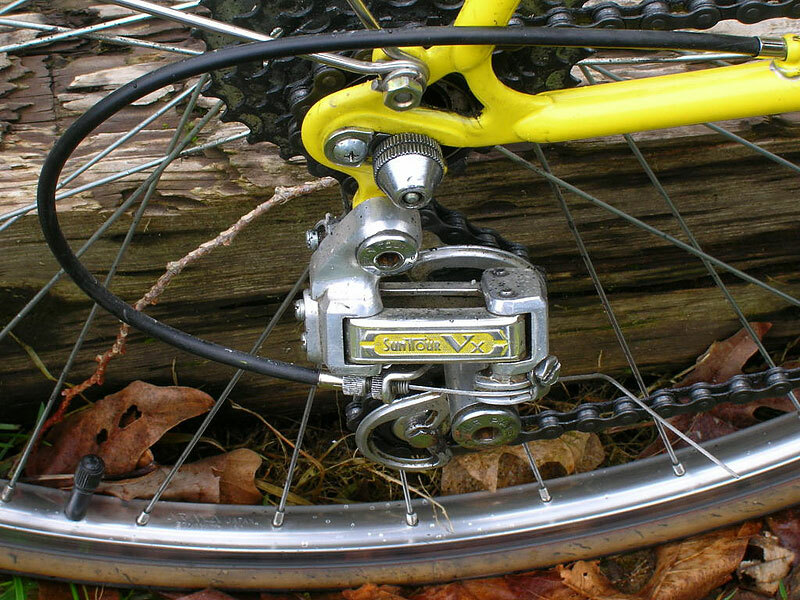 The Suntour shifters came with the bike but the original front shift mechanism was replaced with a Suntour Mountech. I acquired a B17 from my local trailside bike shop in Orting Washington and my friend gave me the generic mustache bars. 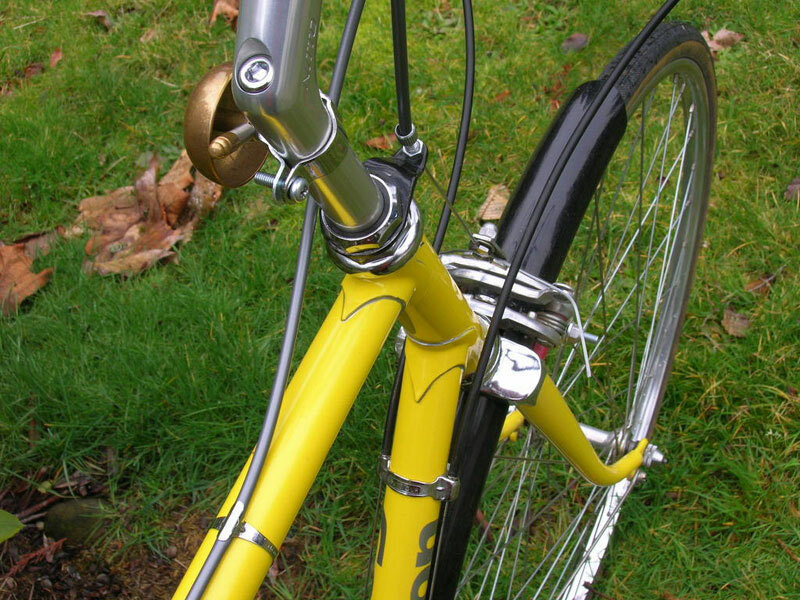 The stem is a Nitto Dirt Drop from Rivendell and gets the bars where I need them. Since these photos were taken I have replaced the wheels with Mavic A719's/Shimano 105's and Urbanmax tires and I have changed out the rear dŽrailleur with a Deore and IRD 8-speed 12-32 cassette. The front mech will be replaced with an IRD and the cranks will eventually be switched to a XD600. The original brakes are Dia Compe but are barely long enough to make the pads hit the rim so I am replacing them with the longer version. Originally, I think Centurion made these bikes to be switched to 700c but I like my pads to hit the rim in the center and not right next to the tire bead. I have the bars twined with hemp twine now and have added a wired speedo. 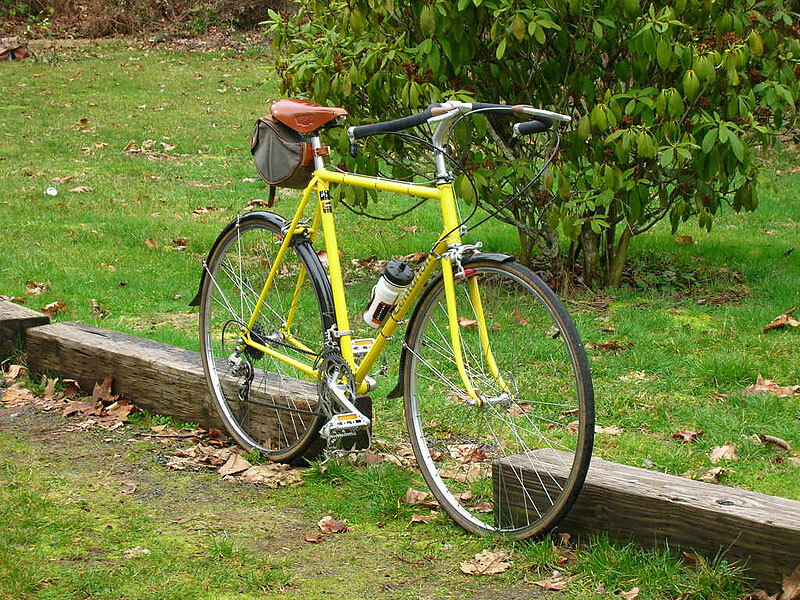 This bike is my spare and is use for commuting 20 miles and shorter fitness rides.